D28 Cubetto | D28D03 | D28G03 Glass diffusers made of white and black paste and of 24% lead crystal, sandblasted inside. Polished chromium-plated metal structures. 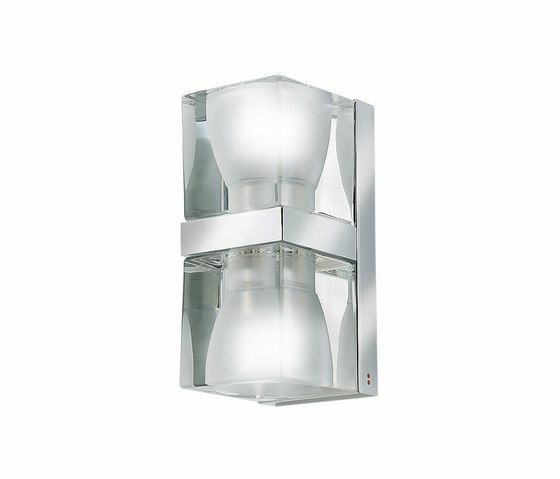 D28 Cubetto D28D01 | D28D02 Glass diffusers made of white and black paste and of 24% lead crystal, sandblasted inside. Polished chromium-plated metal structure. Equipped with double light source.